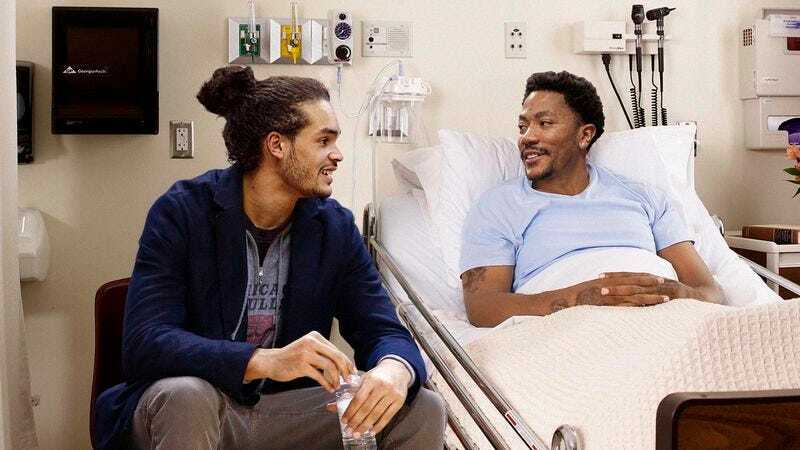 CHICAGO—Noting that the charitable gesture has done wonders for his general mood and energy levels, officials from the NBA Cares program confirmed that several members of the Chicago Bulls made a surprise visit to a local hospital Wednesday to spend time with Derrick Rose. “The look on Derrick’s face when Joakim Noah and Jimmy Butler walked into his hospital room and gave him a couple of high-fives—you could just tell it meant the world to him,” said program spokesperson Liz Ventura, explaining that numerous players have taken trips to the hospital to sign autographs and take pictures with Rose, often staying with him for over an hour. “The poor guy has been stuck in that bed for such a long time, so having the Bulls come by and play some NBA 2K16 with him is absolutely the highlight of his week. Pau Gasol has actually visited a couple of times, and Derrick still never wants to take off the jersey he gave him. The best part is that afterwards, he’s so much more upbeat about his treatment. It’s really a blessing.” Ventura noted, however, that several doctors have privately asked Bulls players to avoid getting Rose’s hopes up by assuring him he will make a full recovery.